Investing money seems to be the wave of the future. Gone are the days when you put your hard-earned cash into a savings account to watch your interest steadily grow. Instead consumers can begin to think about earning compounded interest on investments made earlier in life and watching their investments grow. Before you can determine whether you should dump your money into savings or invest it like a pro, you need to determine your income. How much money do you make each month? What are your monthly expenses? Your monthly rent payment should add up to around one-quarter of your total income. Your monthly expenses should account for another one-quarter of your income. If you still have between one-quarter and one-half of your income left over at the end of each month, you can begin thinking about spending and saving. Yet if you don’t have much money left over at the end of the month, you’ll want to begin thinking about how to increase your income or reduce your spending before you start investing or saving any money. You don’t want to hand over too much money to a savings account or investment portfolio before you begin thinking about your debt. You are probably paying extremely high interests rates on your debt (depending on the type of debt you owe). Student loans and taxes tend to fall under the low-interest loan bracket. If you have this type of debt, you don’t need to worry too much about putting money in savings. Continue paying off your low-interest loans while saving and investing money. If you have car loans, you want to determine how much money you’re spending each month and each year on interest. If your interest rates are high, you may want to focus on paying off the lion’s share of your car loan before investing or saving money. How much you want to invest versus save depends on how old you are. Younger people will make more compounded interest off of their investments and begin accruing interest on their interest every year. Older people will not see those types of returns because they began investing later in life. You want to begin investing your money as soon as you are financially stable enough to do so. This will give you the greatest return on investment at the end of each year—and when you decide it’s time to retire and begin living off your investments. Why do you want to invest or save money? What are your money goals? Do you want to retire? Do you want to make solid investments so you can live off your interest? Do you want to buy a house? Understanding your money goals is an important step to deciding if you should save or invest your money. 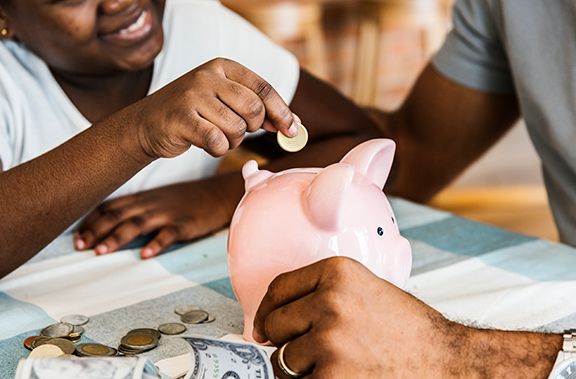 The biggest difference between saving and investing is that saving is in some ways playing it “safer.” You’ll know exactly how much money you’ll have in the bank by the end of the week, month or year. Investing is somewhat trickier because factors outside of your control may determine the amount of money you have at the end of a fiscal cycle. Save enough money to make a down-payment on a home or car. Save for a vacation. Save enough money for a security fund (usually about six-month’s salary). Saving generally gets you enough money for a timely goal. You can decide exactly how much you want to save each month, and you should be able to determine the amount of time it will take you to get to your goal. Invest everything you have left after paying your bills and expenses, paying off debt and saving the money you want to save to attain certain fiscal milestones. If you’re drowning in debt and bills, start investing a mere $10 a week to start accruing compounded interest. ← Where Do I Get Started in Sailing?